Listen to the full panel discussion, recorded live at South by Southwest 2019 in Austin, featuring Carrie L. Byington, MD, vice chancellor for health services at The Texas A&M University System, senior vice president of the Texas A&M University Health Science Center and dean of the Texas A&M College of Medicine; Dan McCoy, MD, president of Blue Cross Blue Shield of Texas; Vivian Lee, MD, president of health platforms at Verily; and Greg Winfree, director of the Texas A&M Transportation Institute. Lindsey Hendrix: Thanks for joining us for this special episode of Texas A&M Health Talk. At South by Southwest this year, Dr. Carrie Byington, vice chancellor for health services at The Texas A&M University System, senior vice president of the Texas A&M University Health Science Center and dean of the Texas A&M College of Medicine moderated a panel about health challenges facing rural communities. If you haven’t listened to our episode on right-sized healthcare for rural communities, you might want to go back and listen to that first. That episode will help to set the stage for the panel’s discussion of the opportunities that seemingly despaired industries have to converge and create practical forward-thinking solutions. The following conversation was recorded live at South by Southwest 2019 in Austin. Enjoy. Carrie Byington: So welcome everyone. Thank you for joining us this afternoon. My name is Dr. Carrie Byington, I am the vice chancellor for health systems for The Texas A&M University System and I also have the honor of serving as senior vice president for the health sciences and dean of the College of Medicine for Texas A&M University. It is my honor to be with all of you here today as we talk about rural healthcare. As someone who grew up in rural Texas, rural south Texas, this is an area that is particularly important to me and touches my heart. So rural communities across the United States share many risk factors for poor health including the fact that the populations in rural areas are older, they’re poorer and they have less access to health care providers. But we know in the 21st century that we are going through a major shift or transformation in healthcare. And we’re seeing a convergence, that’s a word that I really appreciate. A convergence of different industries coming together to focus on answering the big questions in health care. And so, today it’s really my privilege to share the stage with this dynamic panel of industry leaders from health from technology from transportation and we’re gonna talk about some of the innovative solutions that might be out there for addressing rural health care and by doing that also addressing health care across the nation. So let’s start with the lineup first. We first have Dr. Dan McCoy. Dr. McCoy is the president of Blue Cross Blue Shield of Texas, and he brings 20 years of experience as a practicing physician to his role. I just learned he is a dermatologist. Blue Cross Blue Shield is the state’s oldest health care provider and the largest health insurance working with nearly 80,000 physicians and 500 hospitals, and serving five million members in all 254 counties in Texas. Next, we have Dr. Vivian Lee. Dr. Lee is the president of health platforms for Verily. That is an alphabet health care company devoted to using technology to improve health as well as to prevent, detect and manage disease. Dr. Lee is also a physician, a radiologist and an engineer, a medical engineer. She works with Verily’s clinical and engineering teams to develop products and platforms that support health system improvement and advance population health. And right here next to me is Mr. Greg Winfrey. Greg is the agency director of the Texas A&M Transportation Institute. He leads the largest and most comprehensive higher education affiliated transportation research institute in the United States and he brings innovative solutions to tackling distance and relating to human health and health care delivery. So as a land grad institution, Texas A&M has a particular interest in serving the needs of all of the citizens of the state of Texas and as you know, Texas is a rural state. Over three million individuals in our state live in rural areas and we’re committed to ensuring the best health outcomes and education outcomes for those individuals. So let’s get started and I’m gonna ask the first question to Dr. McCoy. So recently, Blue Cross Blue Shield announced a partnership with Texas A&M University for something that we’re calling the rural health moonshot. Can you tell us why you think we need a rural health moonshot and what do you hope to accomplish with these ambitious endeavors? Dan McCoy: Well given the challenges we’re having in rural health today, we certainly need a moonshot rather than band aids because the problems that are occurring in rural health today are a crisis. One in three Americans are covered under Blue Cross Blue Shield and we do cover all 254 counties so for us, of all those rural counties which if you look in Texas 173 we would call rural. Significant challenges about the access and affordability in health care in those areas so for us although Texas may be the epicenter of this problem, it is a national crisis. Not to scare anybody in the room but if you want to think about it, there’s 35 counties in Texas where there’s no physician at all. There’s 185 counties where there’s no psychiatrist. So to put that in perspective, that’s like not having a psychiatrist in the entire state of Kansas, that’s how big of an area that we’re actually talking about. So solving that problem is not an app, it’s not coming up with a simple solution, it’s going to be a complex solution that requires a complex set of people and experiences working on it. So for us, that was more like a moonshot. That’s not anything that’s gonna be a simple injection or immunization or band aid effects. Carrie Byington: Thank you. 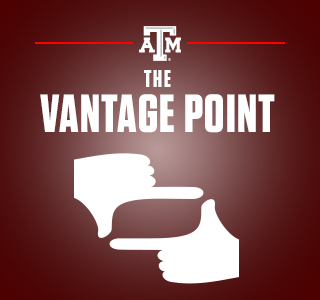 We feel the same at Texas A&M and it’s having groups like this to address the problems from a multifactorial way that we think we’re gonna get traction and really make changes. So, Vivian, I’d like to ask you a question about technology. So rural hospitals are disappearing. They’re disappearing fastest in Texas. We lead the nation in rural hospital closures and some have postulated that part of the reason that we’re losing rural hospitals is because medicine is advancing so quickly and the technological needs and technology that’s available now requires large teams and large infrastructures and rural hospitals can’t keep up. I’d like to examine the other side of that. Do you think that there are ways that technology can actually be helpful in addressing the rural health care issues that we’re facing in this state? Vivian Lee: Thanks, Carrie, I think that’s a really great question. As a radiologist by training, I’m accustomed to thinking about technology as really big expensive technology like MRI machines but I think increasing we’re really finding the potential for technology to be much more in everyone’s back pocket. The cellphones, the small sensor devices and I think the degree to which we can see those technologies become a part of people’s daily lives in the sense of thinking a lot more about prevention rather than treatment at the end of the day, the more powerful they’re gonna be. I think one of the examples that we have at Verily is a technology that’s around diabetes management for example and I really think that illustrates the potential, so it’s through a joint venture called Onduo between Verily and Sanofi and it has a hardware component which is a continuous glucose monitor. It’s about the size of a quarter, you can put it on your arm, you can put it on your abdomen, it’s got a little catheter that goes under the skin and measures your blood glucose so instead of pricking your finger every few hours this just measures it continuously. It has the world’s smallest Bluetooth chip so that transmits to your phone, your app or on your computer and then you can sort of see how your blood sugars are tracking all day and then probably the most important part of that technology is that you know, if you’re a diabetic or family member’s diabetic, you’re supposed to keep track of the foods that you’ve eaten because that’s the most important that that affects your sugars and most people don’t keep that food log when they’re supposed to and so the app actually works by you taking pictures of your meals, pictures of your snacks and the Google vision automatically recognizes those meals which is kind of cool and so you can actually see how different meals like cereal and milk compared to eggs in the morning affects your blood sugar so that people can use that in any area, they can use it in rural communities, they can track through the chat feature with coaches, they can be in other parts of the country they can help work with them and I think that really empowers people regardless of where they’re living to be in charge of their own health and to be able to keep themselves healthier. Carrie Byington: Right. And that empowerment through the patient and also working with coaches has potentially the opportunity to lower health care cost as opposed to working with physicians. Do you have a comment on that? Vivian Lee: Absolutely, absolutely and I’m aware of some of the work in south Texas where you’re really leveraging community health workers and others and I think that’s got a huge amount of potential. Carrie Byington: Greg, I’m gonna go to you. Transportation is a major issue in our rural areas. Texas is a huge state, we have large distances between cities and counties and what do you see as some of the transportation barriers that may impact people’s ability to access health care and are there some solutions that you can bring to the table? Greg Winfrey: Well I think it’s fair to say in rural settings, vehicle ownership depends on the individual and having transit options or group options is a significant gap. So, as vehicle ownership tracks that’s gonna be the folks that have access to health care by definition, by necessity. So trying to help democratize the thinking in rural communities from a number of perspectives. Working with communities to work collaboratively and collectively so it’s you share the resources on an issue by issue basis. I think those are some of the things that can be brought to bear but also technology’s like telemedicine and getting early intervention from the medical perspective or a physician perspective is critically important so in 2005 at A&M through our Center for Advanced Technologies we had a telemedicine ambulance that had been developed called M life and I actually we believe that we have a couple of slides but if not we can provide you with the information and the data but what that facility, it actually was a facility as opposed to a vehicle allowed was for connectivity with remote physicians, consistent with now goes topic about the having the ability to talk to specialists who are a distance away so practitioners and service providers in a rural community can have expert guidance and assistance through connectivity whether it’s Wi-Fi, whether it’s internet, whether it’s cell, that technology is in these kinds of vehicles along with advanced methodologies for treatment but particularly during that critical golden hour for strokes, myocardial infarction and trauma, so those are some of the thing that can be brought to their kind of community, looking out for one another and being responsible custodians collectively but also having the resources in the community so that treatment can be given to allow patients to be transported to a facility so that they can receive greater care. Carrie Byington: So there’s a number of issues that your comment brings up and I’m going to turn it to Dan for a moment and maybe we’ll also talk about the implications for work force but Dan we’ve mentioned here you’ve heard Dr. Lee and Mr. Winfrey mention some technologies. These new diabetes glucose sensing monitors, tele-enabled ambulances. Do you think these types of technologies will become benefits that people’s health insurance will cover in the future? Dan McCoy: So, it’s a great question and I think one of the things that has to be solved of course is how do you finance rural health care? There are technologies today that are covered by insurance and I’ll give you one good example is air ambulance coverage or a helicopter, but if you were to have an accident or get transported from a hospital. Let’s say you’re San Marcos, Texas, which is half the distance from here to San Antonio. That could be somewhere in the neighborhood of an $80,000 trip, so that technology exists today but the average consumer can’t write a check for $80,000 to pay for the transportation, yet it’s a covered benefit, so the answer is I do think the industry will evolve to cover things that add value and I think one of the things that I’m so excited about the work in rural health care is value-based care which is delivering higher quality care at a lower cost and a greater efficiency. If there’s ever been an area in America where we need to deliver value-based care, it’s gonna be in rural areas which is where you can deliver those kinds of services. And I think consumers will drive that. Just last year I heard you mention telemedicine. Again, I’m old school doctor if you’d have thought you could practice medicine over a phone I probably would have said no, I’ve got to put my hands on you, I’ve got to see that rash to treat it, but last year at Blue Cross Blue Shield Texas, our telemedicine visits were up 47 percent from the year before so let that sink in for a minute. Consumers are driving the adoptions of these technologies and it’s gonna revolutionize and help to lead the way in how we develop those complex systems as you talked about in rural health care. We don’t really know what that is going to look like yet, but I think absolutely the payment models will modulate to cover that as long as they add value. Rural health care though can’t handle low, high-cost, low-guiding services. There’s no, there’s no bandwidth to have that support right now. Carrie Byington: Go ahead, Vivian. I know you are an expert in value health care. Vivian Lee: I totally agree with that and I think that that’s exactly why these kinds of technologies offer so much potential because you can’t afford to have the physical high-cost hospital in every, in every little town and so getting people access to that is really important. With the diabetes management tool, it was first rolled out by the Blue Cross Blue Shield, it was carried initially in Arkansas, Georgia and South Carolina, now it’s expanding across the country and the original payment model was that the company Onduo would only get paid for reductions in HBA1C, so it was the ultimate in value payment, in other words if we only got paid as a company if we got your sugars better under control, and to me that’s really what this whole idea of being paid for value is all about and I completely agree with that. Carrie Byington: So it brings in more opportunities for technologies that we may not consider that are somewhat out of the space of health care like ridesharing, Uber, Lyft, are names we know now, not necessarily with health care. How do you think those ridesharing choices could be helpful Greg and how might they be paid for? Carrie Byington: Tell us more about that. What do you mean by that exactly? Greg Winfrey: So back when I was USDOT I always used to say, we are one keg party and four drones away from somebody saying, ‘dude, hold my beer, watch this.’ But, and that was 2014 so you fast forward to 2019 now, and companies are talking about investing in that technology, so Bell helicopters and Boeing are working on low altitude vehicles that can fly under the national airspace, 500 feet and down, and literally transport much like the TNC vehicle now and Uber, Lyft, you’d have an app, you’d be a member and you’d go to a vertiport. Greg Winfrey: Yes ma’am. Yeah so unlike a heliport, that is significant expense as a true helicopter but these services and they’re being planned here in Texas, from Alliance to Dallas to Fort Worth is going to be the first roll out of this air taxi, so this is coming to a neighborhood very near us, in the very near future but there’s no reason why that technology couldn’t be acclimated to transport a patient once stabilized, right, and maybe it’s some sort of gurney and then an assistant or a family member travels with them. It’s short duration but it’s quicker than perhaps surface transportation, it would be vertiport to a vertiport at a trauma hospital somewhere and then that connection gets made, but what I’m saying is, there are innovations that are currently under development that I think with some creativity can provide the kinds of level of service that will be the norm in urban environment, I think we’ll also be able to provide benefits in rural environments. Dan McCoy: If I can just comment real quick, hopefully that’s the Twitter quote right there, the hold my beer. Because before I get attacked about the air ambulance, let me tell you, he hit on something that is so important about rural health care. And that was the community needs assessment, about what happens in that community. So I’m gonna just for a second if I could dissect the air ambulance. It costs three million dollars to create an air ambulance space. Think of what it costs to actually have a helicopter. You have to have a pilot. The pilot’s have to have about 15 years of experience. You gotta have two nurses usually, and this is one crew most of them have to have three crews. So think about operating that base. Also think about doing it in Wink, Texas, or in the Permian basin attracting that talent to move to that location and to do that, you’ve got to have things where people can raise their family, they can have a school, they feel like their children can get educated and can grow up in that community. It’s much more complicated than for Dan to say it’s just $80,000. There’s a reason why. It’s a reason and that’s why the community needs assessment is so important because solving some of those challenges like with the drone might be easier than fixing those macro-economic challenges that occurr in rural Texas. Carrie Byington: And the other part that I heard was building an infrastructure for connectivity so that you know if you’re in this town, your next stop is over here, and somehow there’s a connection between them and the towns have prepared. Do you think there’s, there’s ongoing efforts in that area, Greg? Greg Winfrey: Well there are and just so that we have a base level of understanding. Self-driving vehicles now principally rely on machine vision technology. Meaning they read the lane stripes and the edge stripes in a roadway in order to navigate their path which is why there are challenges in inclement weather, snow, I saw in Reno where they were inundated with hail that looked like snow covering the ground so those kinds of circumstances. Fog, any reflectivity off the roadway makes it difficult for these vehicles to traverse safely. So one of the things we’ve been talking about at Texas A&M is developing smart dirt road technology, right. So why is that important? Particularly in a rural state, not only are we significantly populated with rural counties, that means we’re significantly populated in the legislature with rural county legislators, right. So if this technology is going to work for our state then the rural communities have to understand and see benefits that they’re going to get because the urban, rural divide is real and it won’t move forward significantly if everyone isn’t invested. Now in rural communities they already benefit from automated combines, threshers, tractors right, so the agricultural side has these devices where folks in the rural communities see automated technology at work and then they go get in their pick up and they scratch their head and say, well why do I have to drive my own pick up when my harvester can go and navigate an uncharted plot of field without any further guidance. So we’ve gotta close that gap, we’ve gotta make self-driving and automated technologies apparent, available and of benefit to rural communities and that way that tide lifts all ships. Carrie Byington: And affordable. Vivian I’m going to ask you about another technology because we’re here at South by Southwest, and that’s artificial intelligence. What do you think artificial intelligence has to add to this conversation. Are health care providers going to be robots? That’s a question I always get. Vivian Lee: Well I think that the, I’m not sure we’re gonna be robots but I think that a lot of the artificial intelligence is going to help really expand the availability of the expertise to communities where they don’t necessarily have a dermatologist or an ophthalmologist or a radiologist, the technology is pretty sophisticated now we, we just reported there was just a story that came out in the New York Times this weekend about a product that Verily and Google developed together which is for patients who have diabetic retinopathy, so one of the leading causes of blindness in diabetic patients is the retina is affected by the diabetes and so you have to get dilated and then you have to get a photo of the back of your eye and then an ophthalmologist has to examine those and we just don’t have enough ophthalmologist in this country to look at all those images and so the folks in artificial intelligence at Google developed an algorithm and there’s others that also do this. It’s been approved in Europe and also in India, so the article this weekend that came out in the New York Times was about implementing this in rural India, where there are very few ophthalmologists but it’s not that different from rural America so the idea here is that there’s two pieces of the technology that I think are really interesting. One is in partnership with camera company to develop cameras where you don’t have to dilate your eye so you can imagine these lower cost cameras just being at your local Walgreen’s or your local grocery store, you can just go and stick your chin and get your eyes taken and then it gets electronically transmitted some place. Now there still will be a physician checking it, but at least the artificial intelligence makes it a little faster so it spots all the abnormalities for you and the ophthalmologist, dermatologists, radiologists can just confirm that so it just makes them a lot more efficient. I think that’s going to be very helpful kind of technology going forward because we just don’t have the work forces as you alluded to. Towns that don’t even have a physician at all, so how are going to enable those people to get that care. Carrie Byington: And you’ve mentioned workforce and that’s an area that’s very important I think as we consider what is that work force supposed to look like and oftentimes I see people thinking about the physician and only the physician. We’ve mentioned a number of different types of individuals that might be involved in a rural health delivery work force such as EMS or even a Lyft health driver, Uber health driver automated ambulance driver. What do you think the work force needs will be to try to address some of these problems? Greg Winfrey: You know, it will unfold as the future unfolds so your point about convergence bevause there will be professions, careers, jobs that we can’t even envision as we sit here today and one way to think about that, automobile radiators used to be made out of metal and there was a profession that would weld a crack in an automobile radiator. Well guess what, they’re not made out of metal any more, they’re plastic, right? So that whole profession had to shift and find something else that was aligned with what they wanted to do professionally and find something else or somewhere else to apply their skills. Well that story gets writ across any number of professions as history has gone on. In the transportation industry, we used to say there no more buggy whip manufacturers. So things will progress, things will become apparent on an as needed basis and I think it’s incumbent upon institutes of higher education like Texas A&M and the partners with whom we work but stretching that out all the way into the elementary education to get awareness, to get kids focused on careers and thinking about solution, providing them with challenges, providing them with opportunities to push themselves intellectually because they will be the ones that answer those questions as well. Carrie Byington: I hope to see that these new and emerging health care professions might actually revitalize the economies of rural areas that people will see a pathway to be a health care provider in just a different way than being a physician. We’re getting close to the, to the end of the panel and we want to have time for questions but I’m just going to ask people on the panel if you’ll make a quick comment on whether you believe that a rural lifestyle and rural health care is sustainable in the 21st century. Carrie Byington: Okay. It can be that easy. Dan McCoy: I think the answer is, it has to be, right. I mean the nation’s greatest asset comes from our rural areas, so fuel, fiber, food, all of these come from rural areas. So everybody in the room is gonna eat, they’re gonna wear in clothes, they’re gonna get here in some standard of energy-driven vehicle and most of that is going to come from areas we would define as rural. So we need people to live, work and raise their families and feel like this is a place they can have their career and that’s part of our national security. So absolutely. Vivian Lee: I totally agree. I grew up in Oklahoma, I spend a lot of time in Utah, it’s really the heart of America that we’re talking about here. I also think now that I live back in an urban setting that a lot of the advances whether it’s by technology or by being more creative about work force those are all really beneficial in the urban setting too. I mean, my understanding is there’s some urban areas where it takes a couple of areas where it takes you a couple of hours just to get from one part of the city to the other. Carrie Byington: Like maybe Austin during South by Southwest. Vivian Lee: And so the telehealth, all the issues about transportation they are all actually very relevant across the country. Greg Winfrey: I would maybe flesh it out a bit more. So that the country is headed toward a concept known as mega regions. So the influx of humanity into cities like Austin is going to make, particularly in Texas, the golden triangle is going to be a significant choke point as the masses of people move into that region. Well the connectivity with other mega regions around the country goes through rural parts of the country so having that network is going to be critically important and as we take transportation from thoughts from a modal perspective into mobility where it’s now the mobility of people, data and goods, the safe and efficient movement of people data and goods that by definition and of necessity will include those areas as we look at how we move through our nation writ large.